A beautiful early medieval mount, of insular type, has been discovered in Denmark. 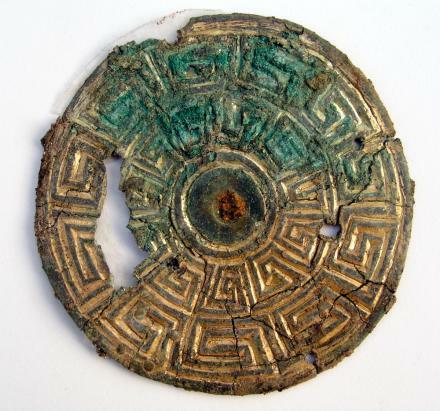 Fashioned out of gilt bronze and measuring just 6 cm across, it was found in a Viking Age grave that contained the remains of a woman. 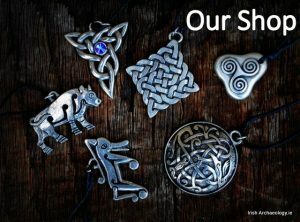 The artefacts origins, however, most likely lie in Ireland (or possibly Scotland) where it may have formed part of a reliquary or shrine. In early medieval Ireland saint’s relics played a important role in both religious and secular affairs and as a result they were often enshrined in richly adorned reliquaries. Unsurprisingly, such precious items were sometimes targeted during Viking raids. For example, in 832 AD the monastery at Bangor in Co. Down was attacked and the shrine of St. Comgall stolen (Annals of Ulster). It is likely that the majority of stolen shrines were subsequently hacked up for bullion and this may explain how the newly discovered mount arrived in Denmark. 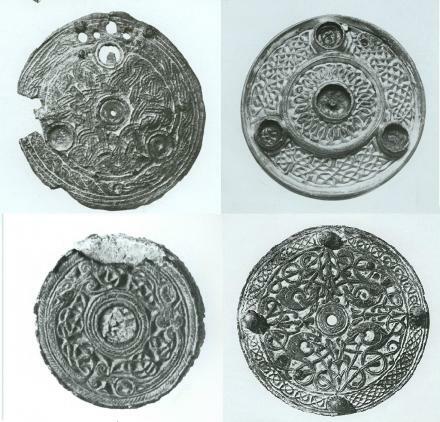 Although pieces of insular metalwork are well known from Norwegian contexts, they are much rarer in Denmark. According to Jens Ulriksen, an archaeologist and curator at the Museum Southeast Denmark. ‘Such buckles are very rare in Denmark. I’ve never seen this kind of ornamentation before in a Danish context, and to find it in a tomb is very unusual’.